Stress research has been around for 80 years but has perhaps never been more actual and trendy as in recent years. The term ‘stress’ (psychological) is extremely popular and the general public, as well as celebrities, frequently use and occasionally abuse this term to describe situations causing agitation or alteration of their wellbeing. In PubMed, the search for ‘psychological stress’ provides nearly 130,000 results, and this term is linked with cardiovascular diseases and hypertension, diabetes, asthma, obesity, autoimmunity and cancer. In the 1930s, Hans Selye introduced the term ‘stress’ soon after his 1936 Nature magazine publication entitled “A syndrome produced by diverse nocuous agents”. Often this Nature study is linked to the birth of the stress concept, but in this article the expression ‘stress’, was substituted with ‘alarm reaction’, due to an editorial suggestion. Two decades before Selye, the American physiologist Walter Cannon studied how animals cope with emergency conditions, and proposed the ‘emergency function’ theory of the adrenal medulla. In his 1915 book “Bodily Changes in Pain, Hunger, Fear and Rage: An Account of Recent Researches into the Function of Emotional Excitement” Dr. Cannon coined the term ‘fight-or-flight’ response. According to this concept, animals react to threats with a general discharge of the sympathetic nervous system and catecholamines/adrenaline secretion, and thus, react in response to a perceived harmful event or threat to survival. 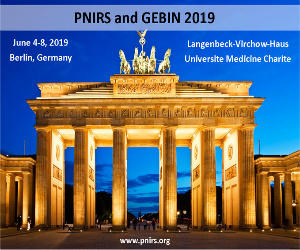 Interestingly, in 1919, Tohru Ishigami published an article entitled ‘The influence of psychic acts on the progress of pulmonary tuberculosis’ in the American Review of Tuberculosis. Ishigami was perhaps the first to address the contribution of ‘stress’, adrenaline and the ‘stress’-immunity interactions in tuberculosis. In 1946, however, in his publication: ‘The general adaptation syndrome and the diseases of adaptation’, published in The Journal of Clinical Endocrinology and Metabolism, Selye was the first to describe the ‘Stress Syndrome’ or the ‘General Adaptation Syndrome’. As stated by Selye, the ‘Stress Syndrome’ is manifested in three stages: the alarm reaction, the stage of resistance, and the stage of exhaustion. Selye postulated that several serious diseases represent the consequences of a severe, prolonged application of adaptational responses. He wrote: “…many maladies are due not so much to what happens to us as to our inability to adapt”, and they have therefore been called ‘diseases of adaptation’. Selye devoted his life to the study of stress and its implications for common human diseases. He received his medical degree in 1931 from the German University in Prague and soon thereafter did his postdoctoral work at the Johns Hopkins University. Later, he migrated to McGill University in Montreal, Canada, then to the University of Montreal, where he started his stress-related research. There, a few years later, his Institute of Experimental Medicine became a major center of research and experimental endocrinology. During his career he published over 1700 publications and 40 books. Selye has made several original and pioneering studies in the field of stress, providing a solid foundation for the future development of this field. He defined stress as “the nonspecific response of the body to any demand”. By comparison, ‘stress’ is currently defined as a state of threatened homeostasis – it occurs when homeostasis is threatened or perceived to be so. Selye believed that stress has a major protective role in all organisms, and that not all states of stress are noxious. He coined the terms ‘eustress’ and ‘distress’, referring to the mild, brief, and controllable states versus severe, protracted and uncontrollable situations. In the 1940s, at a time where the ‘immune’ function of thymus was still not discovered, Selye described that lymphoid organs, and particularly the thymus, and the avian Bursa of Fabricius are extremely sensitive to stress and steroid hormones. This included a thymus involution and the depletion of cortical thymocytes, changes that were completely prevented by adrenalectomy (see Figure 1). 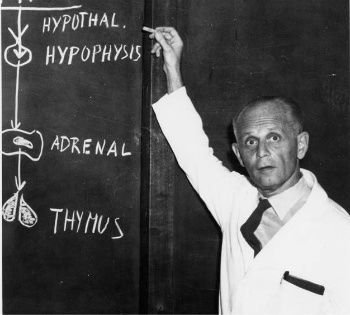 Figure 1: According to Dr. Istvan Berczi, a co-worker of Hans Selye, he considered as most significant the discovery of the hypothalamus-hypophysis-adrenal-thymus axis. In the 1940s and 1950s he attributed stress to the development of several diseases, and promoted ‘stress’ as “the major cause, mode of transmission and treatment of most human ills, be they mental or physical”. Some examples of these diseases, as stated in his 1959 New Scientist article, include high blood pressure, coronary thrombosis and peptic ulceration (see a recent report about stress and peptic ulcers development). In 1955 he published his ‘Stress and Disease’ review article in Science highlighting the key role of hormonal response during inflammation. He suggested that a deficient host defense due to abnormalities of neuroendocrine factors may lead to disease, and discussed the role of “an absolute excess or deficiency in the amount of adaptive hormones” or “an absolute excess or deficiency in the amount of adaptive hormones retained (or `fixed”) by their peripheral target organs”. In his recent Nature NEWS & VIEWS article entitled “In retrospect: Eighty years of stress” George Fink, from the University of Melbourne, Australia, outlined some of the major advances in the stress research field after the death of Selye in 1982. These include, to mention just a few, the introduction in the late 1980s of the concept of allostasis (an insufficient adaptation); the idea that the level of individuals’ stress over time could be measured through the adverse effects exerted on the cardiovascular system and other organs; sequencing and identification of the structure of corticotropin-releasing hormone (CRH), and it receptors; the development of investigative tools such as brain imaging, and last but not least, the advance in our understanding of the neurochemical pathways and signatures in anxiety, depression and PTSD. Yet, many issues remain unanswered. For example, understanding what the weight of genetics and environmental factors could be in the stress response, stress susceptibility or stress resilience, and especially if brain biochemical changes, induced by chronic stress, or anxiety and depression, can damage it beyond repair. The idea of the ‘non-specificity’ of the stress response may need to be redefined and/or re-examined. As shown by Pacak et al., the stress response is perhaps not so ‘homogeneous’, and the Selye’s doctrine of non-specificity and the existence of a unitary ‘stress syndrome’,” are more consistent with the concept that each stressor has its own central neurochemical and peripheral neuroendocrine ‘signature’. However, regarding the broad effects of stress and their implications, it appears that Selye was right. As stated by George Chrousos, a leading expert in stress research, “…the so-called multifactorial polygenic disorders: obesity, the metabolic syndrome and type 2 diabetes mellitus, hypertension, autoimmunity and allergy; anxiety, insomnia and depression – all of these disorders are associated with dysfunction of the stress system. Our lifestyles and environment in modern societies seem to be particularly permissive for such stress-related disorders”.